This is a great book for anyone starting out or resuming model railways. I’ve been a fan of Brian Lambert’s website for a good while and The Newcomers Guide to Model Railways doesn’t disappoint. It is easy to read and deals with complex topics using clear explanations and plenty of illustrations. While aimed at the beginner its the kind of book you will go back to time and again. A Newcomers Guide to Model Railways is actually quite detailed and could be used as a reference book for experienced modellers too. The book is laid out well with good clear diagrams and fresh well-photographed colour photos throughout. The structure is what you would expect from an “all-in-one” beginners book with chapters on scale, layout design, benchwork, track-work, landscaping, electrical installation, point control, control panels and DCC. Electrics are Brian’s specialism and the topic is covered well. The DCC section is aimed at beginners so may be a little light for some. Perhaps a future book from the author could develop that subject. Do I recommend the book? Yes I do. Many of the books aimed at beginners were written some time ago, and although they have been updated by fresh authors its nice to see a completely new work on the subject that doesn’t suffer from “last century” syndrome. A Newcomers Guide to Model Railways is definately worth a space on the bookshelf. Brian is contactable via his website where you can ask questions and provide feedback. There is also a useful list of online resources in the back of the book. 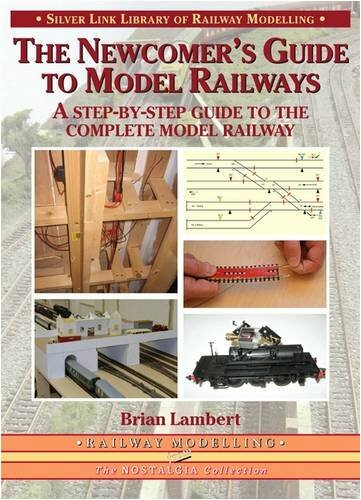 The Newcomers Guide to Model Railways: A Step-by-step Guide to the Complete Layout is part of the Library of Railway Modelling series.